Falling in love; having a child; graduating from school; and walking on the beach. The feelings you get the first time you experience these moments in life are the ones you'll cherish forever and yearn to feel again. Words can't describe the feeling you get when you kiss the one you love; hold your newborn child; or accomplish a lifelong goal. For a golfer, playing Cypress Point offers one of those surreal experiences. 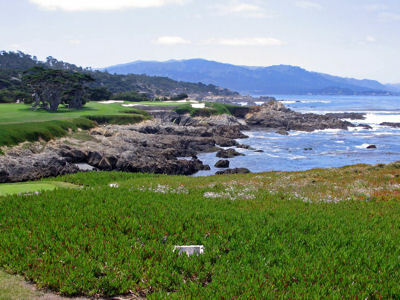 To get to the Cypress Point Golf Club you experience one of the most stunning drives in all the world; 17 Mile Drive. The famous road that winds along the rocky Monterrey Peninsula coast affords views of Monterrey Peninsula Country Club, Spanish Bay, Spyglass Hill, and of course Pebble Beach. Never have I been more taken back by the shear beauty and history of one location then I was when visiting this amazing California location. 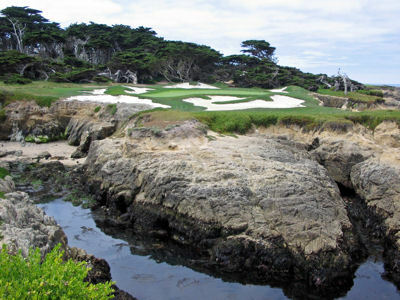 When I walked onto the hallow grounds of Cypress Point I was overcome with reverence and respect for the club. True to the deepest roots of golf, Cypress Point has a very modest clubhouse and tradition reigns supreme. Gentlemen are required to wear collard shirts and slacks (no shorts allowed) and changing into your golf cleats is strictly reserved for the locker room. Further, golfers are provided caddies that not only carry your bag, but they are walking yardage books. You see, at Cypress Point there are no yardage markers on the sprinkler heads, no 150 yard aiming barber poles, and no signs marking the tee boxes. When determining a yardage to the flag or the break in a green you have two things to rely on; your caddy and your gut. Cypress Point is a masterpiece in golf course design and offers an unmatched variety of holes as you play through the trees and across the sand dunes. But there is no better or more dramatic stretch of holes in all of golf than the coastline 15th - 17th holes. The 135 yard 15th hole is stunningly beautiful with your tee shot carrying over the rocks and ocean to a green surrounded by brilliantly white sand. Following the 15th is the best golf hole in the world, the 222 yard par three 16th. With nothing but ocean in-between you and the green, few holes unveil the amount of exhilaration or beauty the 16th offers. On a windy day, a player can lay up to the landing area that wraps around left of the ocean and affords a cypress tree as an aiming point. 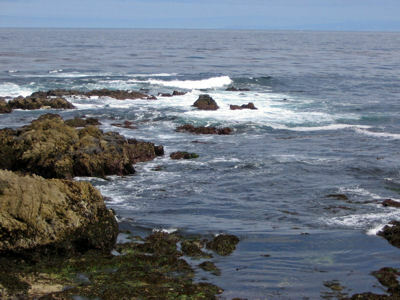 The final moment of greatness is on the par four 17th tee which is found directly behind 16th green on a peninsula resting in the Pacific Ocean. Bomb your tee shot over the crashing waves towards the group of mature cypress trees before hitting your approach to yet another peninsula green. Words can't give Cypress Point justice and photos only tell half of the story. But once you experience it, you'll know you've reached the pinnacle of golf greatness. The quote by course architect, Dr. Alister MacKenzie, found on Cypress Point's scorecard sums it up best, "I do not expect anyone will ever have the opportunity of constructing another course like Cypress Point, as I do not suppose anywhere in the world is there such a glorious combination of rocky coast, sand dunes, pine woods and cypress trees." Good Doctor, I concur. 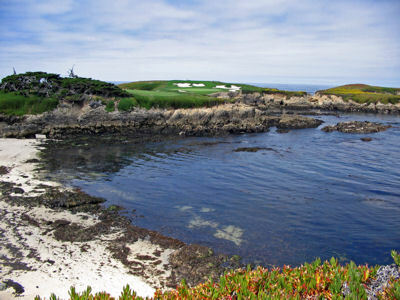 Want to see more photos of Cypress Point? Click on the link to see photos of every hole at this stunning beautiful and masterfully designed golf course.